One thing farmers and consumers can agree on is that animal abuse is a terrible occurrence. Whether it’s companion animals or livestock, people- including farmers- are shocked when abuse videos surface. Farmers know consumers won’t put up with it and are afraid that these videos will turn the public against animal agriculture. Pressure is mounting for farmers to develop their own codes of conduct to prove to the public their commitment to animal care. The increasing sophistication of animal rights groups, especially those with extremist views are undermining the trust people have traditionally held with farmers. These groups are increasingly getting behind the scenes to get on decision and policy makers’ radar. They’re even appearing in the public eye as a measured voice, such as offering advice on caring for your pets in hot weather. For them, it’s about persistence rather than victory. But the prevalence of animal rights groups and their agenda means farmers need to treat it seriously if they are going to win any arguments about their practices and production. The ability to produce safe, wholesome food largely depends on consumers and policy makers having a deeper understanding about what farmers do and why they do it. One way farmers are working to demonstrate their commitment to animal care is by supporting research. No matter how you feel about animal rights or welfare, your position will be stronger if it is backed by science; farmers are well versed with this knowledge. Some practices, though backed by science, can look and sound bad to consumers. But science also leads to better ways to protect and keep food animals, and how to give them a dignified existence. 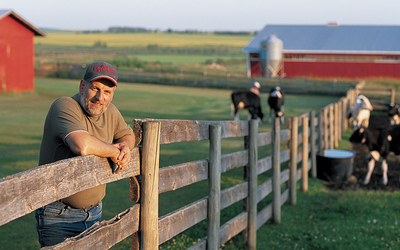 Many farmers also develop their own code of conduct, outlining how livestock should be treated on their farm. Codes of conduct exist to protect the safety and welfare of animals on the farm while representing the farmer’s values. Although these codes will not eliminate the kind of abuse shown in many of these shock videos, but certainly go a long way in showing how conscientious farmers are and how much they care for their animals.